As previously reported I have been a Giants fan since at least 1954. Growing up in Albany, New York, I was definitely living in Yankees territory. I distinctly remember listening on the radio to the exploits of Dusty Rhodes in that World Series sweep over the Indians. That was the WS in which Willie Mays made his famous catch off the bat of Vic Wertz. As I got older I became more of a Giants fan for three reasons: (1) my father was a Yankees fan and that’s what passed for an act of rebellion in those days; (2) it was cool to root for an out of market West Coast team when everyone else that I know–except for those loser Brooklyn fans– rooted for the Yankees and later the Mets; and (3) of course, Willie Mays. I saw Willie play many times in the Polo Grounds and Shea Stadium when the Giants came to town after the Mets were created. I was at the famous 22 inning game (the second game of a double header) which I had to leave in the 10th inning to get the last bus back home. The game was still going on when I got home . Alas, I do not have that scorecard, though it would have been a mess. (Mays played a portion of that game at shortstop). 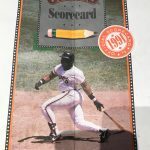 The Giants had great teams in those days–Mays, McCovey, Cepeda, Marichal, the Alou brothers, and later Gaylord Perry– who pitched in relief in the 22 inning game. 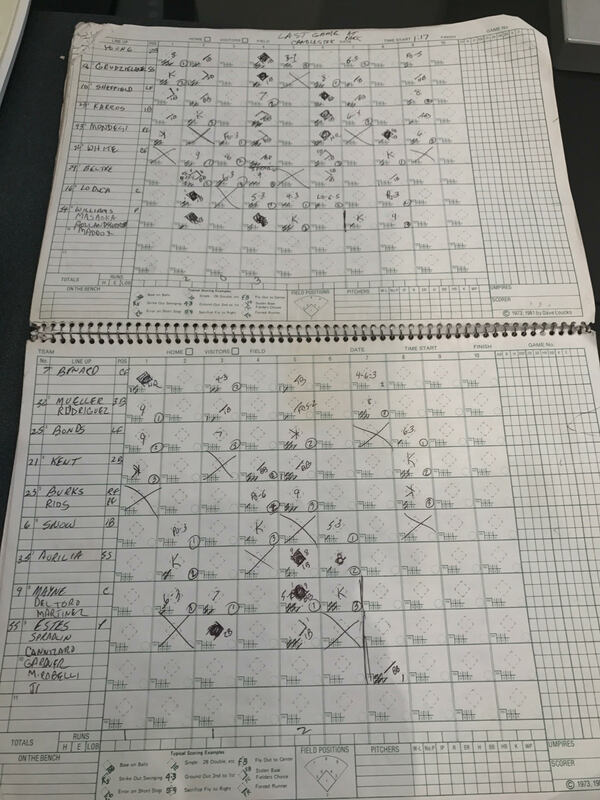 I had always kept score at games, but on scorecards, most of which–with the notable exception of my 1962 World Series Game 5 scorecard previously displayed here– have long since disappeared. 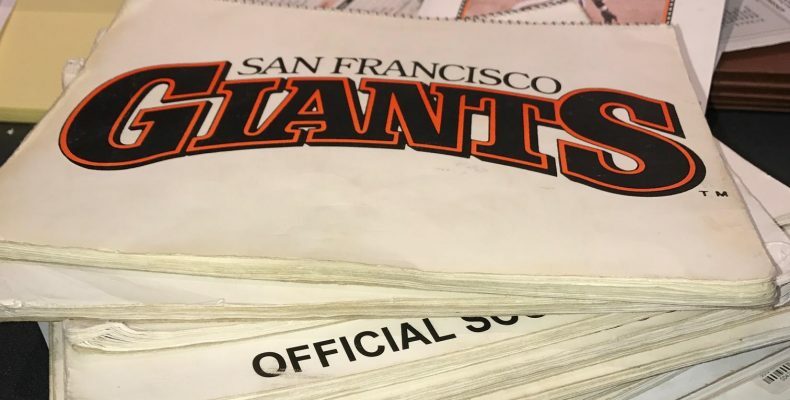 However, as I grew older, and was better able to travel to San Francisco and other places to watch more baseball, I started keeping score in my “official” Giants Scorebooks. 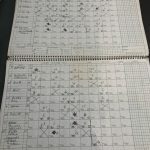 My scorebook collection dates to 1992, along with a few miscellaneous scorecards from 1991. 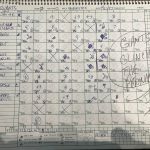 Here is one where, despite a Will Clark home run, the Giants lost to Tom Glavine and the Braves. 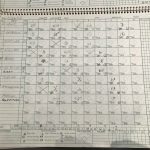 These scorebooks now comprise 25 years of Giants games which I have attended–more than 275 games including the World Series of 2002, 2010, 2012, and 2014 and Playoffs in other years as well. They reflect games at Wrigley, Fenway, Shea Stadium, CitiField,Veterans Stadium and Citizens Bank Park in Philadelphia, Nationals Park, Camden Yards, Minute Maid Park, Coors Field, Petco, Dodger Stadium, Oakland, Detroit, Miller Park, Scottsdale, old and new Yankee Stadium, Montreal, and of course Candlestick, 3Com, PacBell, SBC, and ATT Park, as well as a few others that I’ve probably forgotten. In the early years it was only a few games a season– and now sometimes 25 or more (between surgeries). 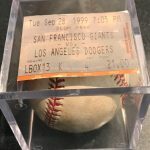 For someone who always had to travel out of town to attend games I managed, by pure coincidence, to attend quite a few memorable games over the years–for example Barry Bonds 600 HR, Bonds 700 HR, Chris Heston’s no hitter in New York, as well as pennant clinching games, the WS finale in Detroit and others. So at the request of Greek Giant, here is Part I of my scorecards from a few of the more memorable games. Looking back over these 25 years, its amazing the number of Giants players who came and went in that time, many of whom I don’t even remember. 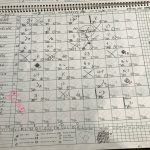 As the years went on I became more sophisticated in my scoring, starting to include pitch counts and interesting trivia and historical events. Sometimes, however, because there were a lot of changes in the later innings, or because I was rooting too hard, I lost track of multiple switches, or the game was out of hand. So my scorecards are less than pristine, and I hope that all of you on TWG won’t be too critical. If there is interest I’ll produce some more in future installments. The first game in my books dates from July 3, 1992 and the Giants beat the Cardinals on a Will Clark home run in the 4th inning. John Burkett pitched a 5 hit complete game letting up only a solo home run in the first inning. 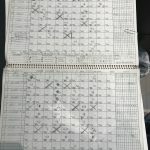 I kept score for the game in featured the first Barry Bonds home run that I ever saw in person. It was on June 11, 1994. Unfortunately Bonds solo HR was the only run scored that day by the Giants who wasted a Mark Portugal gem, losing 3-1. J.R. Phillips (remember him) played first base that day. 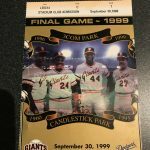 On September 27, 1997 I was in town for a legal conference which I promptly blew off to watch the Giants clinch the pennant against the Padres. I vividly remember Barry Bonds dancing on top of the dugout. I was also at the next to the last night game at Candlestick Park, which was memorable to me because I caught my first foul ball ever. It was off the bat of Jeff Kent in the sixth inning on a 2-1 pitch. Note that Joe Nathan was the starting pitcher. Here is the scorecard, the ball and the ticket stub. 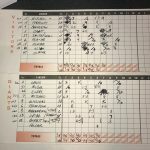 This scorecard is for the last game at the Stick, which unfortunately the Giants lost to the Dodgers. Things got so emotional that I failed to score the bottom of the ninth. The post game ceremony was one of the most moving things that I ever saw. There wasn’t a dry eye in the house. There must have been 100 former Giants players who were introduced and went out to their positions on the field from the dugout. The last player to be introduced was, of course Willie Mays, who walked slowly in from centerfield to a standing ovation which had been going on for close to an hour. A final pitch was thrown to Bonds, and the Candlestick home plate was lifted out of the dirt and placed on a sling under a helicopter, which flew it to the as yet unfinished PacBell Park where it was placed in the field. This was all shown on the big video screen. The the background music was Frank Sinatra’s ode to the either the Polo Grounds or Ebbets Field (historians differ) “There Used to Be A Ballpark.” If you’ve never heard it, it was haunting and perfect for the occasion. Here is the link. My eyes still tear up, but then again I cry every time I see Field of Dreams too. Well that does it for the Candlestick Edition of my 25 years of scorebooks. If there is any interest I’ll do some more later.